One of the trickiest parts of travelling is ensuring that you’ve scored yourself affordable accommodation. Speaking from personal experience, a holiday can be meticulously planned with a thorough state-of-the-art “Guide To The City” tour that has been personally schemed with dozens of travel sites; however, if the holiday itself takes place during a badly-timed season, your travel costs might just blow your budget. John Brown, the CEO of Agoda.com, said, “For many travellers, price is the most important factor in deciding when and where to go.” With that in mind, Agoda.com, an online accommodation reservations company, used booking data from millions of guests who used Agoda.com in 2014 to analyse hotel prices at 25 of the most popular tourist destinations in the world. Brown hopes that the data collected will help travellers to get the most out of their money. 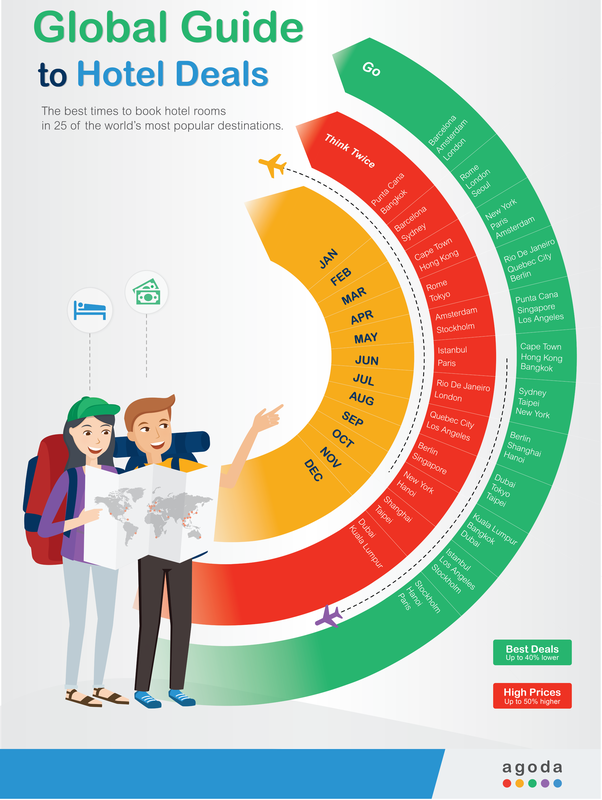 From the study, they found out that the cheapest time to book hotels for most destinations across the globe is in the beginning of the year. Apparently, the average room rates during the first two weeks of January were below average in 22 of the 25 markets that were included in the study. 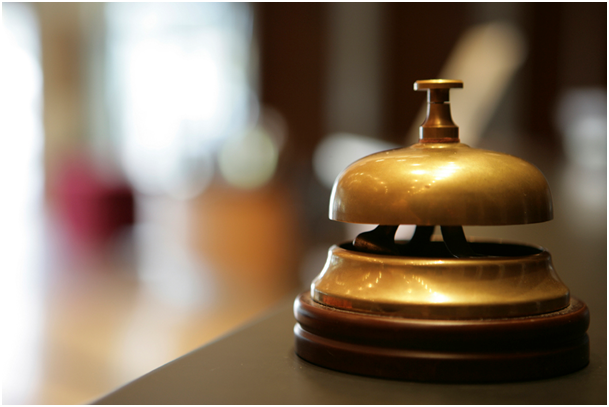 On the other hand, September and October were regarded as the months with the most expensive rates for hotel rooms. In fact, 21 of the 25 markets studied showed that October had higher than average room rates. 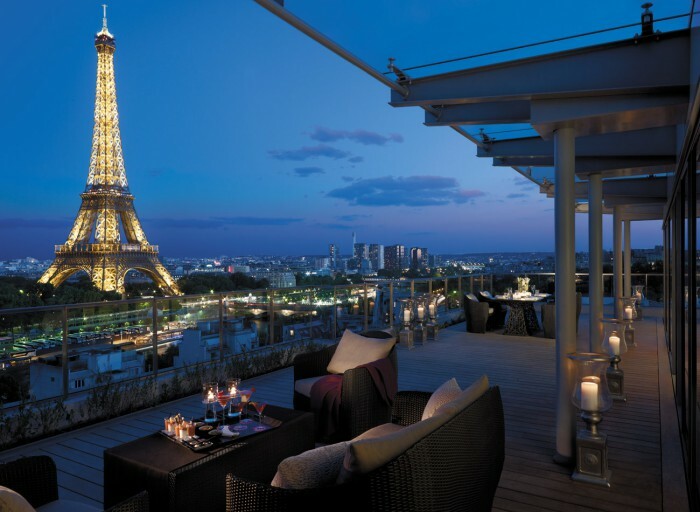 If you’re travelling to Europe, the mid of march is a good time to visit Paris, Berlin, Rome, Amsterdam, Barcelona, Stockholm and London as most hotel rooms were 20% cheaper than average. Despite July being a common peak season for many destinations, hotel rooms in Sydney and New York are actually cheaper than average. Unfortunately for people who are travelling to Asia on a budget, there are not much low season bargains because hotel prices in Asia’s popular destinations are quite consistent throughout the year and discounts are not particularly dramatic. For example, the biggest discount you’d get for Hong Kong is during May or June, which has an average price of about 11% off. Agoda.com noted that although their study looked at booking data for 2014, certain annual holidays, such as Chinese New Year and Ramadan; and events, such as the Milan Furniture Fair, takes place on different dates each year and that in turn might affect the rates. 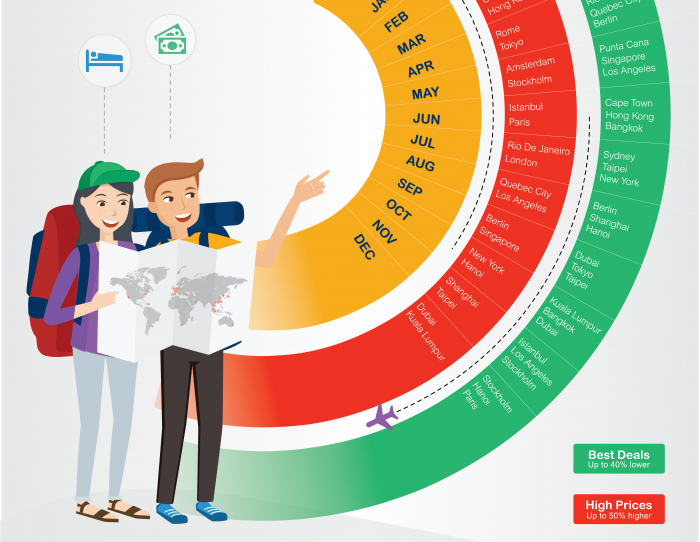 Here’s an infographic below from Agoda.com for you to pick your vacation period carefully.